Hi everyone! Amy here from Plucking Daisies. As my blog name may suggest I have a thing for flowers (Paper Flowers are my specialty) but today I want to share a fun new creative trend with you…Artist Trading Blocks! 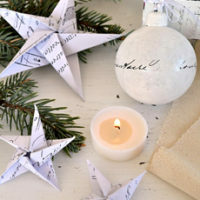 Artist trading blocks are easy to create and can be used in many ways from three-dimensional art to display as home decor to party favors, unique gift boxes and more! 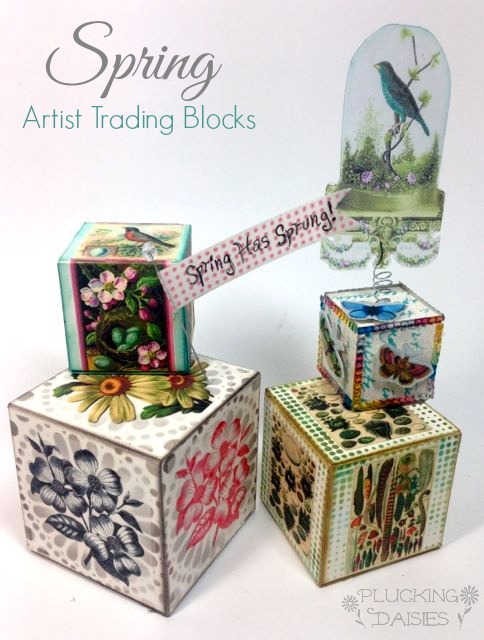 New ways to create with artist trading blocks are being discovered everyday. There are no rules and no limits to what you can create with this inspiring art form. I have created a set of Spring themed Artist Trading blocks using lots of lovely vintage Graphics Fairy Images. If you create spring projects will that make winter go away? I sure hope so! If you are ready for spring I have collected some beautiful springtime images and put them into collage sheets for you to use in your spring projects. If we all think warm thoughts and create with spring inspired images perhaps warmer days will arrive early. The artist trading block concept was founded on the principle that “Anyone CAN be an artist!” There is an artist in all of us we just need to discover it. The Artist Trading block provides a smaller, less intimidating canvas for creative exploration. You will find that once you start creating Artist Trading Blocks you won’t be able to stop…they are that much fun, and sure to awaken the inner artist within you! For more artist trading block ideas and inspiration check out The Artists on the Block. Artist trading blocks are easy to cut and assemble. Just two pieces, a few folds, some images from Graphics Fairy and wallah! Instant art! All of the images used for this project were printed on Craft Attitude. The printable collage sheets I’ve created for you are PNG files perfect for printing on Craft Attitude! *Be sure to mirror your images before printing on Craft attitude. STEP 1: Apply Glue stick to surface. Adhere image by placing image side down. Cover with wax paper and burnish with a bone folder. STEP 2: Peel off backing to reveal Image. Doesn’t the stenciling around the images make them pop? It’s amazing what you can do with stencils! Experiment with different inks and stencils for different effects. You can also use paint, glitter and other mediums. Anything goes with Artist Trading Blocks! …and foil card stock for a touch of metallic sheen. 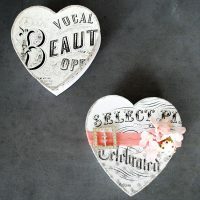 No matter how you choose to decorate your Artist Trading Blocks you will wind up with a lovely piece of three dimensional art to decorate your home or give as a gift to brighten someones day! If you are in the mood for spring I hope you will stop by and visit me for more spring themed projects like this Watercolor Paper Flower Tutorial. Trust me, if you make paper flowers…spring will come. Thanks for letting me share some spring fever with you today. Have a warm spring day! Definitely will warm up a wintered out home!! Gorgeous project & results… I’m pinning it so that I can come back & make it! Amy! Thank you so much for using my stencil from StencilGirl so beautifully! Your ATB’s are amazing and are the graphics you used!!!! Maria your stitch a doily stencil worked beautifully with the vintage images! It added the perfect touch of vintage lace and elegance that I was looking for. I needed a new idea and this is perfect! Thanks! 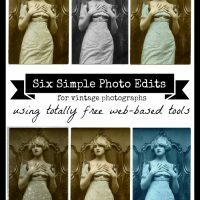 I am a huge fan of Amy’s work and am sooo excited to see her sharing some of her gorgeous creations here at the Graphics Fairy! These blocks are absolutely amazing! Really love that bird topper, too!